Hollow Knight gets physical thanks to new partnership with Skybound Games. 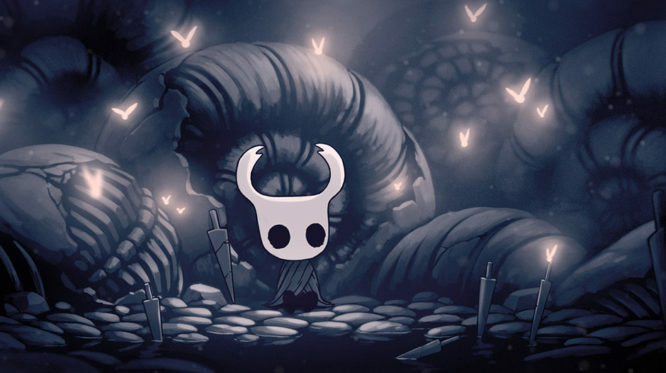 The definitive version of Hollow Knight, coming to a store near you. Skybound Games has announced that they are partnering with Team Cherry to release a physical edition of Hollow Knight on Nintendo Switch, PS4, and Xbox One. The physical release of Hollow Knight, which is set to release in Spring 2019 , is described as the “definitive version” of the game. Skybound immediately impressed us with their experience and their focus on quality and we can’t wait for them to deliver the definitive version of Hollow Knight into players’ hands. Hollow Knight originally launched on Nintendo Switch during Nintendo’s E3 2018 presentation (June 12th 2018) as a digital-only release – with Team Cherry later announcing their plans to release it physically on June 21st, during a Reddit AMA. Fans of the melancholic Metroidvania have been eagerly awaiting any additional news since then. Team Cherry also recently revealed that their previously announced DLC pack “Gods & Glory” would be renamed to “Godmaster”. The newly titled Godmaster DLC will be available for free on August 23rd. Although it hasn’t been confirmed, it’s highly likely that the physical edition of Hollow Knight will include Godmaster and all previous DLC content. It is the definitive version after-all!